Mirroring the proportions of a traditional floor board this plank suits a domestic interior whilst being versatile and easy to install. 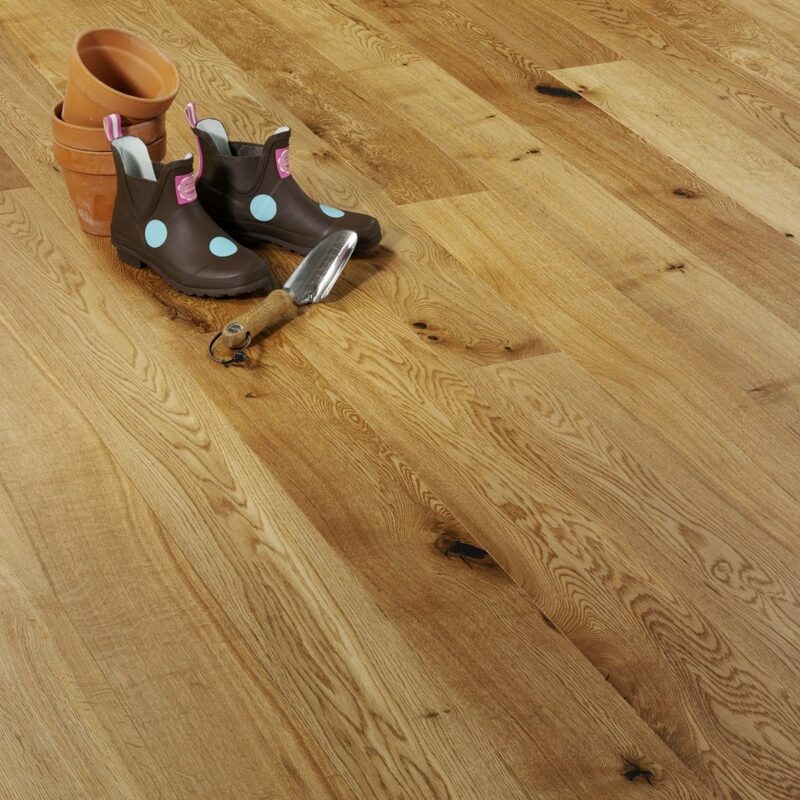 The rustic oak surface is lightly brushed to remove the soft grain, leaving a hard wearing and tactile hardwood surface. 6 coats of aluminium oxide matt lacquer protect the surface whilst maintaining the natural oak tone. The resulting floor is easy to maintain and extremely resistant to everyday wear and scratching, ideal our modern lifestyles. A103 is a tongue and grooved board which can be installed as a floating floor on underlay or fully bonded with floor adhesive to the subfloor. Read more about Installation here.